In this dish, we’re putting a Japanese spin on the turkey burger. 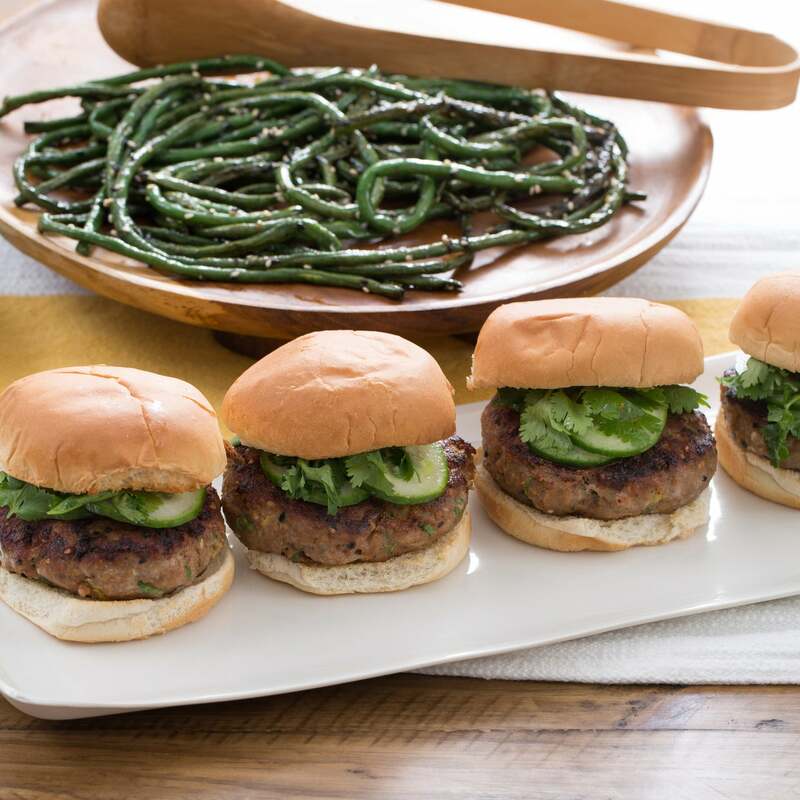 By infusing the hearty patties with tangy, sweet teriyaki sauce, we’re flavoring them from within (and ensuring perfectly juicy centers). 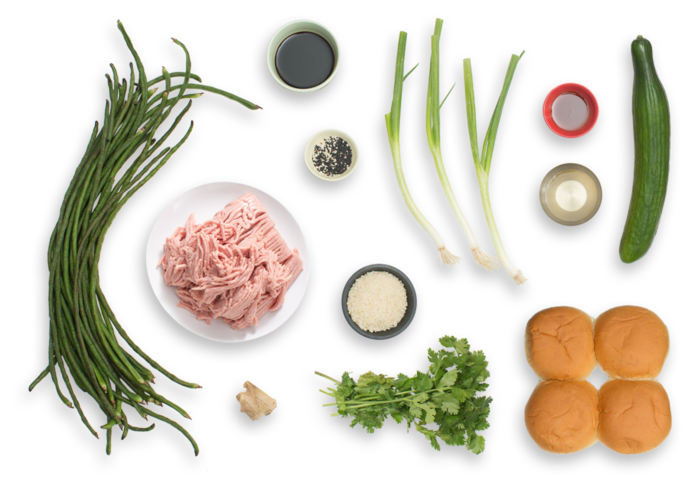 We’re also adding ginger and scallions to the mix for aromatic piquancy, black and white sesame seeds for a hint of crunch and panko breadcrumbs (a classic Japanese ingredient) to act as a binding agent. But no burger is complete without a delicious topping. We’re finishing ours with a tart cucumber and cilantro garnish. 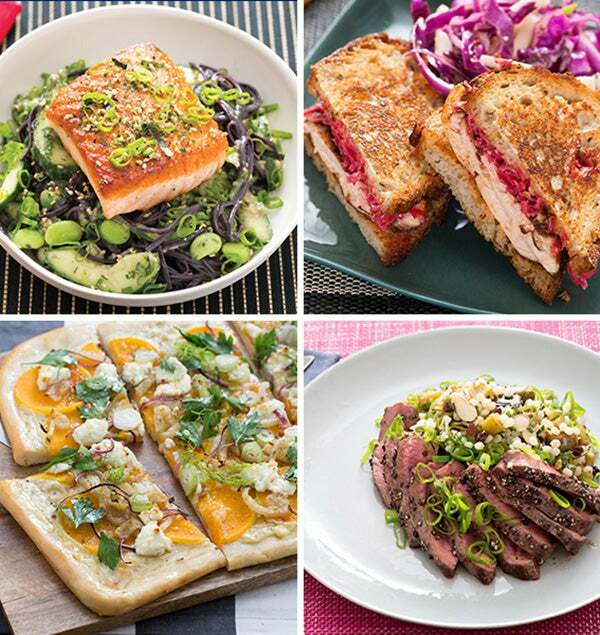 Preheat the oven to 450°F. Wash and dry the fresh produce. Halve the buns. Cut off and discard the root ends of the scallions; thinly slice the scallions, separating the white bottoms and green tops. 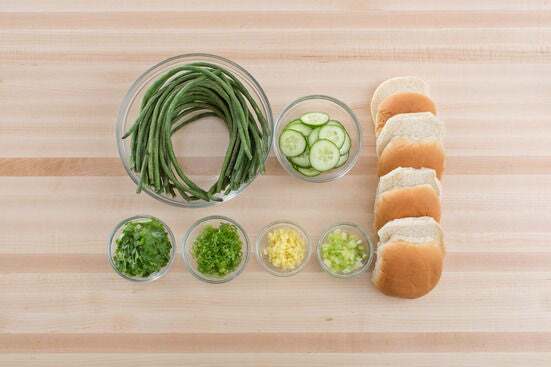 Cut off and discard the ends of the cucumber; thinly slice the cucumber into rounds. Trim off and discard both ends of the long beans. Pick the cilantro leaves off the stems; discard the stems. Peel and mince the ginger. In a large pan (nonstick, if you have one), heat 1 tablespoon of oil on medium-high until hot. Add the white bottoms of the scallions and ginger; season with salt and pepper. Cook, stirring frequently, 2 to 3 minutes, or until softened and fragrant. Transfer to a large bowl. Wipe out the pan. To the bowl of cooked aromatics, add the ground turkey, teriyaki sauce, breadcrumbs, green tops of the scallions and half the sesame seeds; season with salt and pepper. Gently mix to combine. 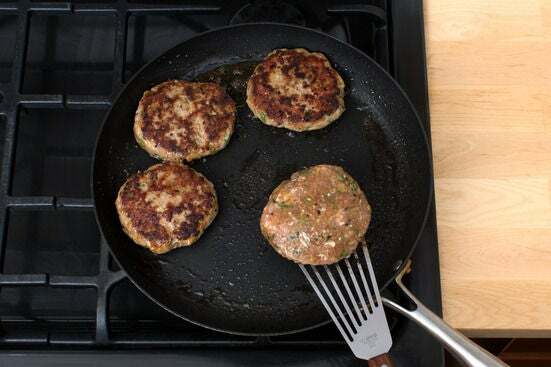 Form the mixture into four 1-inch-thick patties. 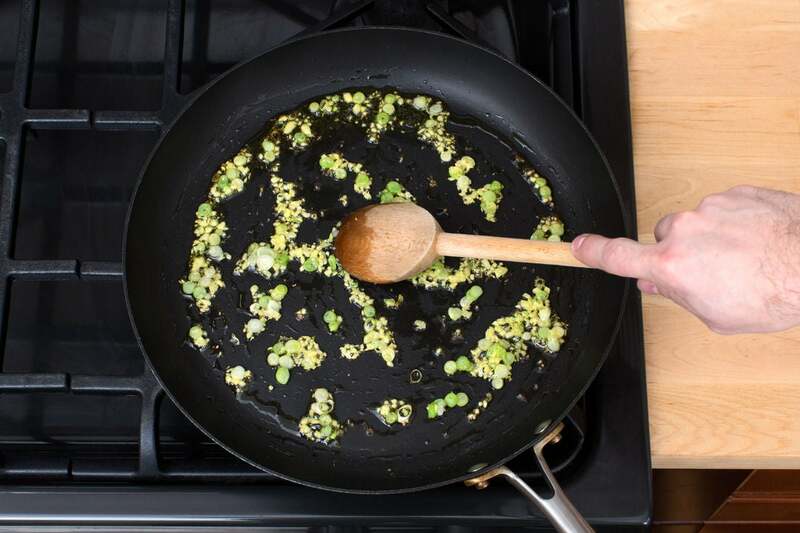 In the pan used to cook the aromatics, heat 1 tablespoon of oil on medium-high until hot. Add the patties. 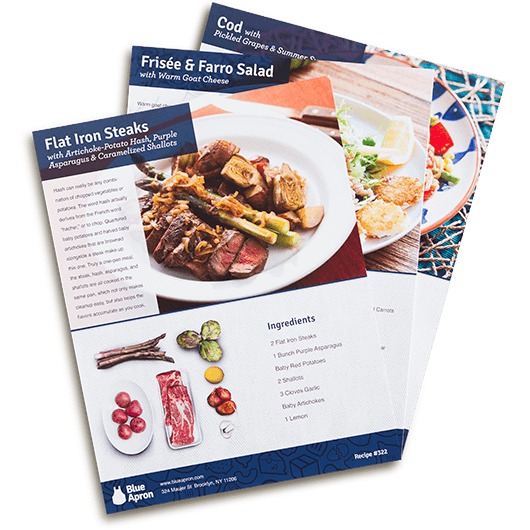 Cook 4 to 6 minutes per side, or until browned and cooked through. Transfer to a plate and set aside in a warm place, leaving any browned bits (or fond) in the pan. Add 1 tablespoon of oil to the pan of reserved fond and heat on medium-high until hot. Add the long beans; season with salt and pepper. Cook, stirring occasionally, 7 to 9 minutes, or until tender. Turn off the heat. Stir in half the sesame oil and the remaining sesame seeds. Transfer to a serving dish. While the long beans cook, place the buns on a sheet pan, cut sides up. 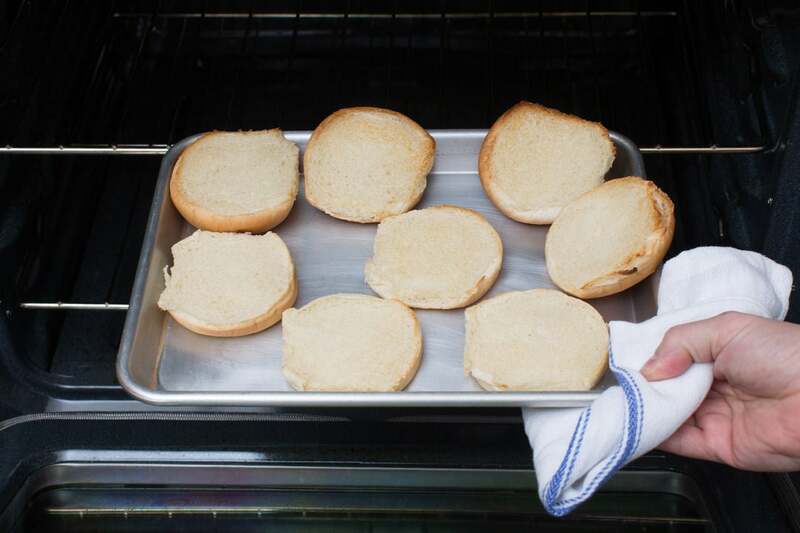 Toast in the oven 2 to 4 minutes, or until the edges are lightly browned. 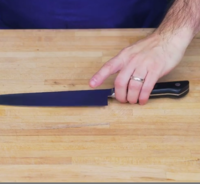 Remove from the oven and transfer to a clean, dry work surface. In a small bowl, combine the cucumber, cilantro, vinegar and remaining sesame oil; toss to coat and season with salt and pepper to taste. Divide the cooked patties between the toasted bun bottoms. Top with the cucumber-cilantro mixture and toasted bun tops. 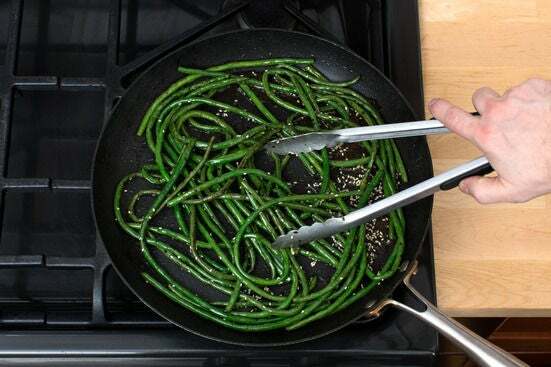 Serve with the cooked long beans on the side. Enjoy!